Last year, I took ownership of a BMW 1M, and after a memorable European Delivery trip and an excruciating wait, the “baby-M” made it on this side of the pond. Our adventure has begun and I started to document my experience of living with and driving the 1M in Chicago. In a city where 3 Series and X5 models dominate the bimmer market, the very few 1Ms stand out and turn heads, or in many cases, get thumbs up and long stares. Despite the rough roads, the 1M remains a blast to drive and while it continues to crave the Autobahn speeds, we have both learned on how to have fun without getting a speeding ticket from the revenue-driven Police officers. One change in my bad driving behavior though: I have almost always find myself using the M button which allows the wheels to spin when there is slip on the rear axle. The extra power boost is another reason why the M button has pretty much become my friend. The odometer shows a little over 6,000 miles and so far no issues to report. 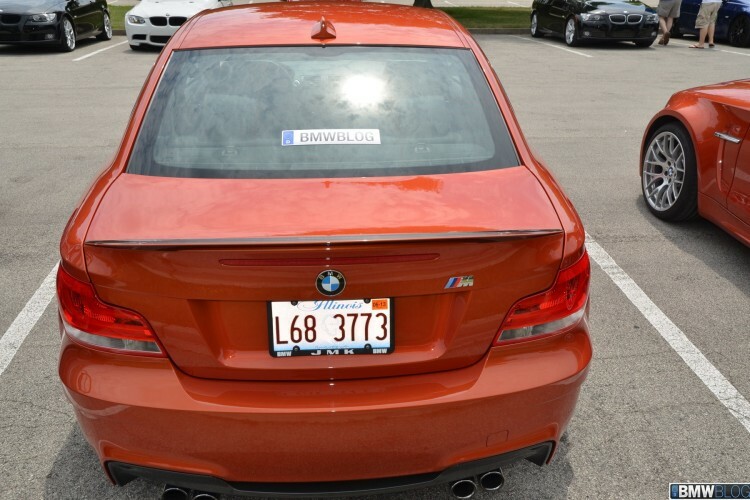 Due to excessively hot weather in Chicago this summer, coupled with my dynamic, some may say aggressive, driving style, the low engine oil warning came on the other day. An easy fix since I have already planned to change my oil more often than specified in the manual. Tires and brakes have the usual wear and tear for these amount of miles. Recently I’ve been driving a lot of different cars, from a 5 Series sedan, to the new 6 Series Coupe, Convertible and Gran Coupe, and even some Mercedes and Ford products, but each time I wasn’t behind the wheel of my 1M I came to appreciate more and more the engineering that was put into developing one of the best steering feedback I have experienced. The road feedback is exceptional and the 1M inspires confidence in corners or cars aggressive cars passing on the highway. The biggest change for me since last year is the adoption of BMW Performance Parts. 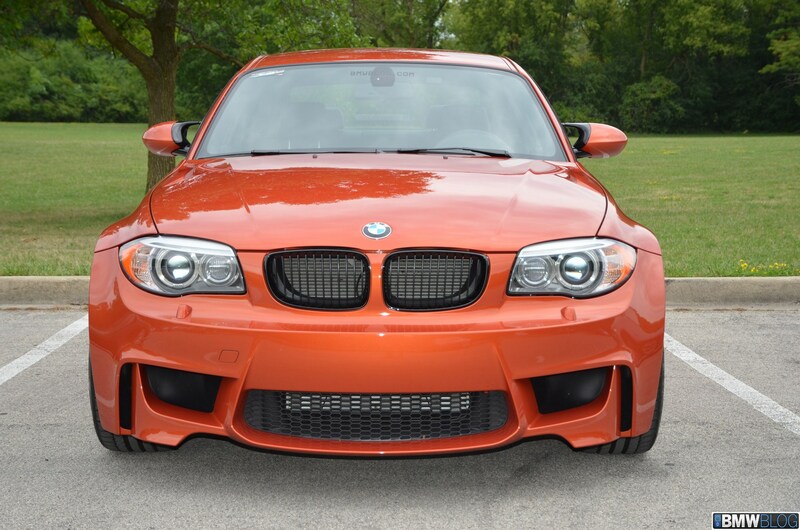 It all started with the black kidney grille and side gills, and last month, I took it up a notch by replacing the standard trunk lip with a new spoiler from the BMW catalog. 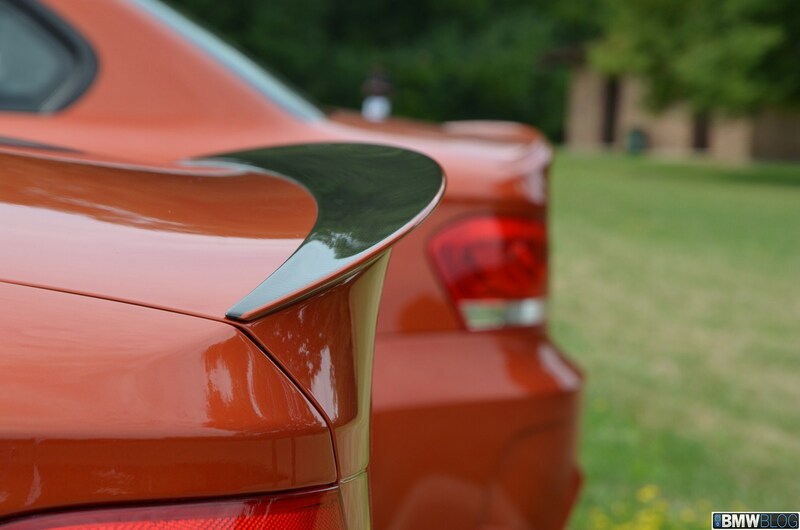 The folks over at IND not only installed the spoiler, but also gave it a nice orange touch. The trunk spoiler is probably the most cost effective performance part that quickly enhances the aggressiveness and looks of the 1M, and I personally highly recommend it. Since I caught the “performance parts bug”, more upgrades are expected over the next few months, one of them being a performance exhaust system. The more time I spend with the 1M, the closer I get to the realization that this is a collectors car with a permanent spot in my garage.